After more than 10 hours of raucous debate, disrupted by angry protests and a handful of arrests, the San Jose City Council early Wednesday unanimously approved the sale of $110 million of public land to Google. The controversial vote, which drew fierce opposition from some community groups, allows the tech giant to move forward with its plans to develop more than 21 acres of land on several city-owned parcels near Diridon Station on outskirts of downtown, where Google wants to create a transit-oriented complex of offices, homes, shops, restaurants and parks. The project is expected to bring more than 20,000 jobs by 2035, which would make Google the city's largest private employer. San Jose Mayor Sam Liccardo, a strong advocate for the sale, said it was an important step in helping to “revitalize many dark corners of our downtown. 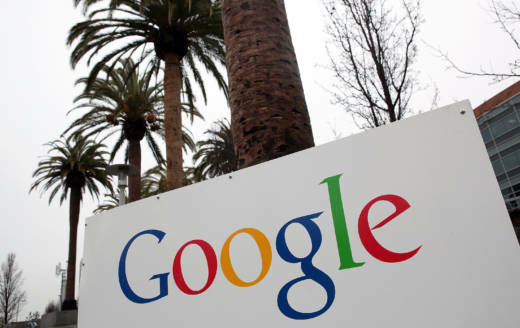 Calling Google a “model community partner," he said the deal will directly benefit residents. He also emphasized that the city is not offering the company any subsidies for the project. "This is not the city of San Jose being subservient to anybody else," Liccardo said at the City Council meeting, noting that all development plans were still years off and subject to city approval. "These are two parties that are fairly negotiating a deal that is good for both." Liccardo and several council members are also proposing that a quarter of the area's new housing units be affordable. But housing advocates fear the development will cause prices to soar, further deepening San Jose's already dire housing crisis and displacing more vulnerable residents. Sandy Perry, president of the Affordable Housing Network of Santa Clara County, was among a handful of activists who had been holding a multiple-day fast in front of City Hall to protest the deal. "The affordable housing situation has gotten worse and worse and worse," Perry said. "And the main reason it’s gotten worse is 'cause of this unbridled expansion of the tech companies." Google will initially spend about $110 million to purchase land that was previously owned by the city and the Successor Agency to the San Jose Redevelopment Agency. The company could, however, ultimately spend upward of $220 million if it decides to also buy parking lots near the SAP Center. The land is near a large public storage complex that the company and its development partner, purchased for $32 million in February. Just last month, Google also bought a $1 billion office park in Mountain View.